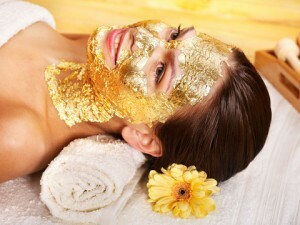 Reveal vibrant, younger-looking skin with our Spa Time Anti-Aging facial treatment. Appropriate for all skin types, it provides maximum exfoliation, while a unique patented blend of antioxidants, anti-inflammatory agents and hydrators dramatically improves the skin’s texture, tone and appearance. Anti-Aging Facial Treatment features a patented, scientifically-proven skincare system developed to target visible signs of genetic skin aging. Our technologically advanced system diminishes the appearance of fine lines and wrinkles, restores radiance and reveals smoother, younger-looking skin. The treatment is performed using galvanic current, high frequency, rotary brush, spray, ozone and vacuum systems. This is perfect for those who want to detoxify and decongest their skin of breakouts and blemishes. The treatment includes deep pore cleansing, exfoliation with a steamer and a rotary brush system, deep pore extractions with spray, ozone and vacuum systems, high-frequency treatment (to help kill bacteria), a specialized mask to calm skin and hydrate, and moisturizer to protect your skin. You will leave with your pores cleansed and a clearer complexion. – Prevents blood vessel fragility by strengthening the capillaries. Peptide and CoQ10 helps to destroy free radicals and return dull skin to a healthy condition. An advanced Retinol skin system that combines the dermatologist’s recommended dose of Retinol with breakthrough lifting, firming and hydrating ingredients to boost your anti-aging results.